Over the past several years, God has shown me the significance of developing spiritual discipline amongst our leadership teams. Successful ministry cannot occur without our leaders working every day to become more like Christ! ‘Spiritual discipline’ sounds like a phrase from another era of history. Whenever a book is written or a sermon is preached on the subject, people wonder if it is a subject only for ancient saints or a group of monks cloistered away in a mountain retreat. But we must understand that spiritual disciplines play a significant role in our spiritual development. They represent practices of our faith that give us the opportunity to interact with Christ. After accepting Christ as our personal Savior, our faith is developed over time. Certain spiritual disciplines help us become stronger in our faith. 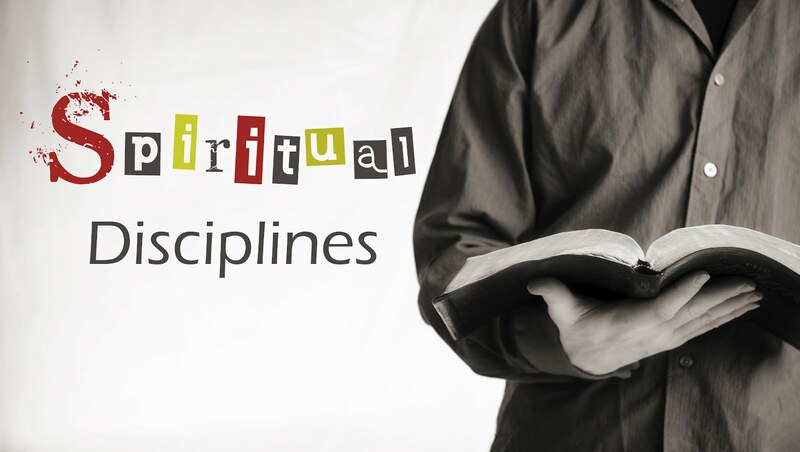 Unlike spiritual gifts, which are provided to us by the Holy Spirit, spiritual disciplines are more like finely honed tools that aid us in our spiritual journey. Yet each of the spiritual disciplines takes time and effort to develop and incorporate into our daily lives. How Do Spiritual Disciplines Work? A spiritual discipline is a good habit that allows you to remain open to God and become more like Christ. Discipline is one of the hardest things for us to learn. Think of some of the finest athletes… Most of them have a strong sense of discipline, because they have to build up strength, endurance, and skill to be good at a particular sport. Surgeons spend years developing their surgical skills and learning the human body so that they are able to skillfully fix what is malfunctioning in the body. Our favorite writers have the discipline to sit down every day to write, edit, and re-write until the story is right. They hone their language skills and their ability to see a final product in all of the chaos of storytelling. Spiritual disciplines exercise our spirit, mind, and emotions so that we become closer to God. They help us see His will for our lives more clearly so that we can live the life He desires for us. The more we practice these disciplines, the better we get at them, and the stronger we make our faith. Spiritual disciplines also help us simplify our faith. How often do we feel discouraged because we don’t quite know what to do or if we are making the right decisions? Spiritual disciplines have a way of clearing out the unnecessary things so we can get back to the basics. Sometimes we overcomplicate things, and growing closer to Christ on a daily basis can keep us from making our lives more difficult. Practicing spiritual discipline also gives us the strength and ability to keep our eyes on God. When we focus on God, we stop letting other things get in the way of who He desires us to become. Our lives find clarity when we stay disciplined in our faith. In John 13:35, Jesus says, ‘By this all men will know that you are my disciples, if you love one another.’ True spiritual discipline begins with our understanding of what it means to love as Jesus has loved. As ministry leaders, we must set the bar high when it comes to the spiritual discipline of our teams. It takes prayer, dedication, and a compassionate heart for those we are leading. We must answer the following two questions in order to see this practically carried out. What is the purpose in developing spiritual discipline within our own lives? What practical steps can we take to develop spiritual discipline amongst our ministry teams?